Palagiano is a town situated in the Western area of the province of Taranto and is part of the Regional Park "Terra delle Grazine". The clefts (gravine) are large crevasses of Carsica origins, mined in the chalky rocks, and they hosted inhabitants since the Prehistoric Ages. Interesting would be a visit to rocky church of Santa Maria in Lenne. Being located near to the Via Appia, Palagiano was testimony of various historical events. The presence of roman ploughman villas evidence the fertility of the ground, already taken advantage of at their time. Today the plain of Palagiano is covered with vineyards and groves. Palagiano is known as "the town of the Clementine" (mandarins) and with the plain of Sibari, it one of the major production areas for this fruit in Italy. In December there is a festival of the mandarin, to celebrate this typical fruit an to honour the IGP quality mark recently appointed. 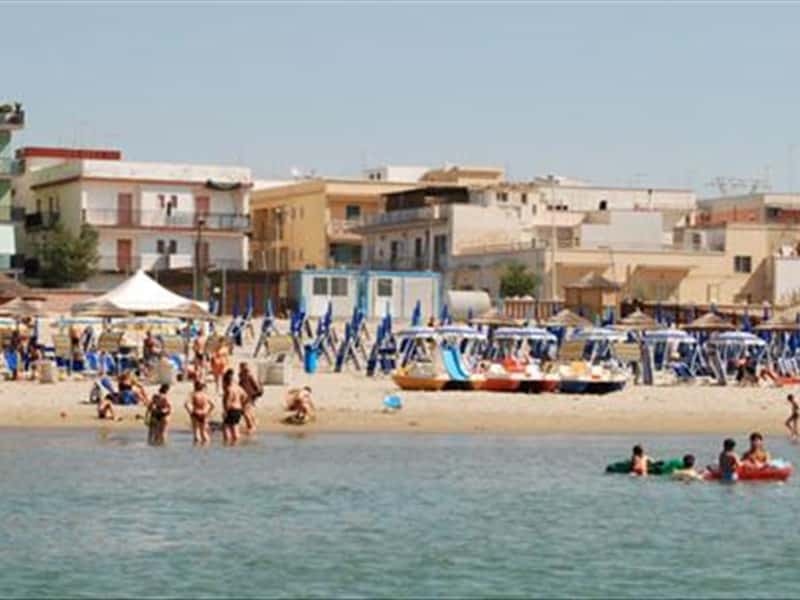 The town of Palagiano extends along 7 km of the Ionian seaside and at the Roman times it was a marsh area. This coastline is a biogenetic reserve called "Pino di Lenne", named so for the presence of a pine forest of Aleppo pines and its closeness to the mouth of the river Lenne. The pines "d'Aleppo", one of the oldest pine tree species in Europe (approx. 300 years), is a special dry season resistant wood variety similar to the domestic and maritime pine, but its look is slightly different due to a larger foliage at the top rather to the bottom. Not to miss is the Baron's palace, locally known as the "Castle" and the Mother Church built in XVIII century. This town web page has been visited 20,590 times.